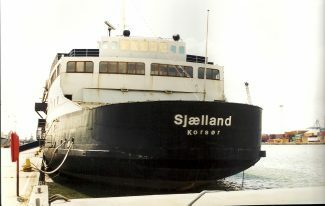 The SJEELLAND in Tilbury. She appeared to be a ferry of some type, registered in Korsor. More info please RWJ. This is a ship with a varied career, although this may now have come to an end. 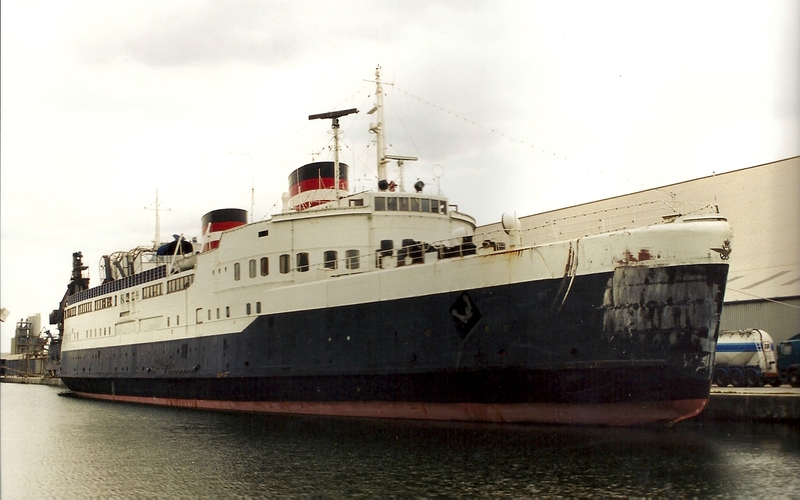 Built in 1951 in Denmark for Dansk Statsbaner (Danish State Railways) as DRONNING INGRID, this vessel was engaged in train and passenger ferry voyages in Denmark, although it did make some voyages over to Sweden. At 3046 tons gross, the vessel lost its “royal” name in August 1979 and was renamed SJÆLLAND. She remained in service for a couple more years and in 1982 was laid up. 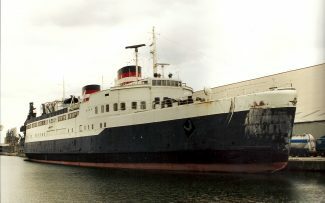 In 1985 she was bought by Danmarks Radio & TV and berthed at Copenhagen as a television and radio studio, floating museum and restaurant. When this project ran out of steam, she was laid up again, and in April 2002 sold to “UK interests”. 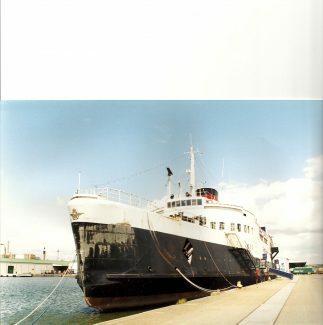 On 6 May 2002, she arrived at Tilbury from Copenhagen, and was there for several months, latterly with the new name SELANDIA. In 2004, her then owner, entrepreneur Rick Lucas, had her towed to Barrow-in-Furness, Cumbria, where it was intended she would be the “centrepiece” in the newly-redeveloped Town Quay. 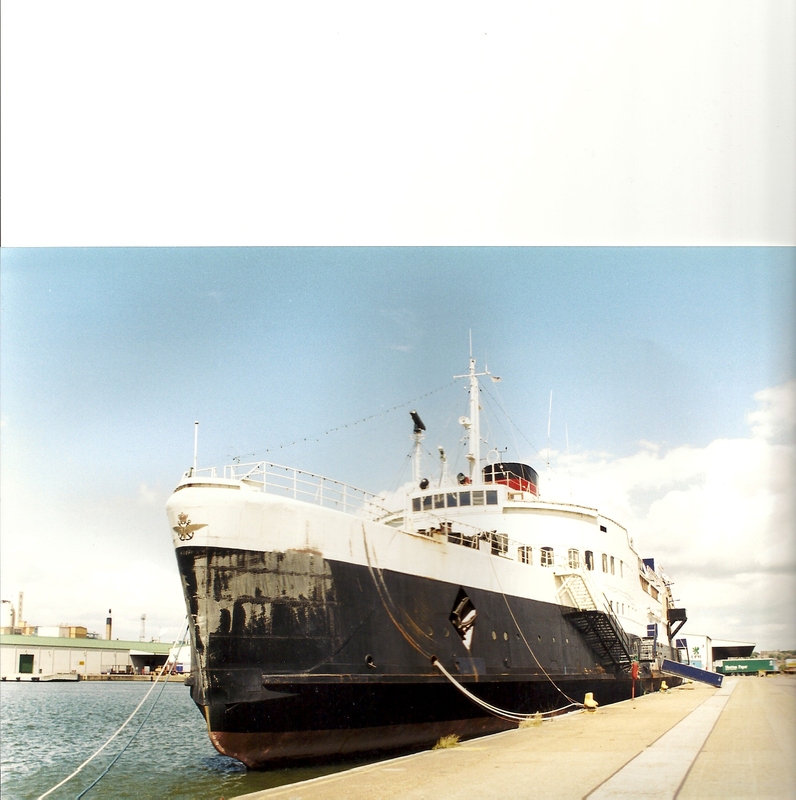 She had a £2million refit and went into service as a convention centre, night club (with beer garden), restaurant, and entertainments venue under the name PRINCESS SELANDIA. According to reports, she seemed to be quite popular, but on 16 August 2010 was closed. There was a fire on board on 9 October 2010 and this obviously did not help in respect of any plans there might have been to revive the vessel as a going concern. She is now advertised for sale at £650,000, which is way in excess of her scrap value, so there might be some optimism that the vessel might “trade” again. Now that the recession is officially over, who knows?